BRYAN EATON/Staff photo. 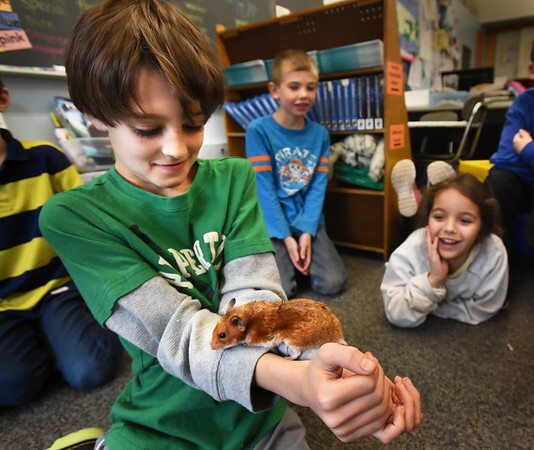 Jake Kramich, 9, shows off his pet hampster Humphrey to his classmates in Bethany Marshall's class at Salisbury Elementary School. The students read author Betty Birney's first installment of the "Humphrey" series, which is about a hampster, and Jake said he had a hampster with that name. Each child is now creating their own story of what Humphrey's next adventure could be.